Although no longer quite the buzzword that it was back in 2011, it’s clear that the cloud is here to stay, even though some still find cloud storage hard to trust. As demand grows for faster, higher-resolution videos and games – especially on smaller and smaller devices – our dependence on cloud storage and cloud computing will only increase. But what does “the cloud” actually mean to you? It can be unnerving to rely on cloud technology without fully understanding how it works, so read on for a more substantial grasp of what’s happening. The first thing to understand is that “the cloud” is simply a metaphor for various data networks, generally located somewhere far away and accessed via the internet. Despite what the name suggests, it has nothing to do with the stratosphere – and no, stormy weather can’t interfere with cloud computing, at least not unless there’s a major power outage. As a metaphor, “the cloud” simply denotes vast, distant clusters that we may not be able to interact with physically, yet which still affect us. In cloud computing, the clusters of servers, fiber-optic cables, and software engineers may be far away, but we can still interact with them by sending information back and forth. Another good analogy is the way households pull electricity from the electricity grid. Without ever visiting a power plant or connecting a power line themselves, families are able to benefit from a massive, shared network that provides them with a much-needed service. If this definition of the cloud sounds huge and all-encompassing, that’s because it is. 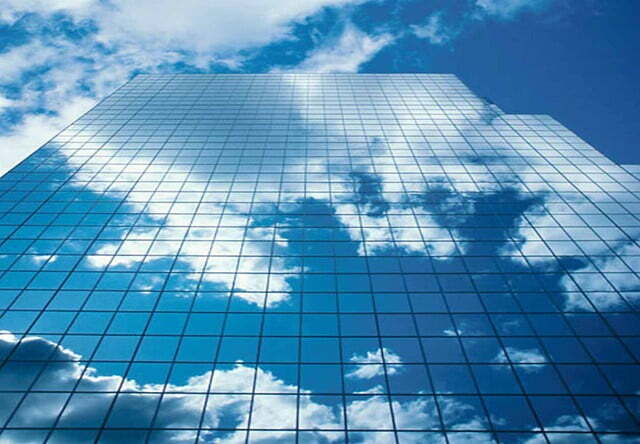 There are a wide variety of possible cloud computing services. The three types most likely to be useful to consumers and businesses are Infrastructure as a Service, Platform as a Service, and Software as a Service. This is the foundation, or “base layer,” of cloud computing, and includes physical infrastructure such as servers, storage disks, and facilities. Organizations benefit from pay-as-you-go, on-demand storage and web hosting, which can be easily scaled bigger or smaller as need fluctuates. This “middle layer” of cloud computing provides the operating system from which applications run. Here, the service operator provides a programming language and web server, which allows application developers to create and run their software solutions. Finally, at the “top layer,” we find software applications specifically developed for the internet. Here, consumers generally pay a monthly or yearly fee in order to use a certain software in the cloud (as opposed to traditional software, which requires a single, up-front cost for perpetual use). Because pricing is pay-per-user, organizations can quickly add or remove users without having to accordingly scale their associated platform and infrastructure. This on-demand approach allows for rapid, efficient adjustments in staffing. Examples include Salesforce, Google Apps (Gmail, Google Calendar, Google Docs), and Microsoft Office 365. Of course, for the average computer user, some of the most important SaaS offerings are cloud storage services. These allow file hosting, file sharing, and remote data backup. Basically, after signing up for a cloud storage service, you get a certain amount of free storage space (usually 2–5 GB) for hosting whatever data you would like, along with the option to pay for an upgrade to access more storage space. Just like with other SaaS software, you can increase or decrease your use of the service very quickly, without having to interact with any of the related computing infrastructure. 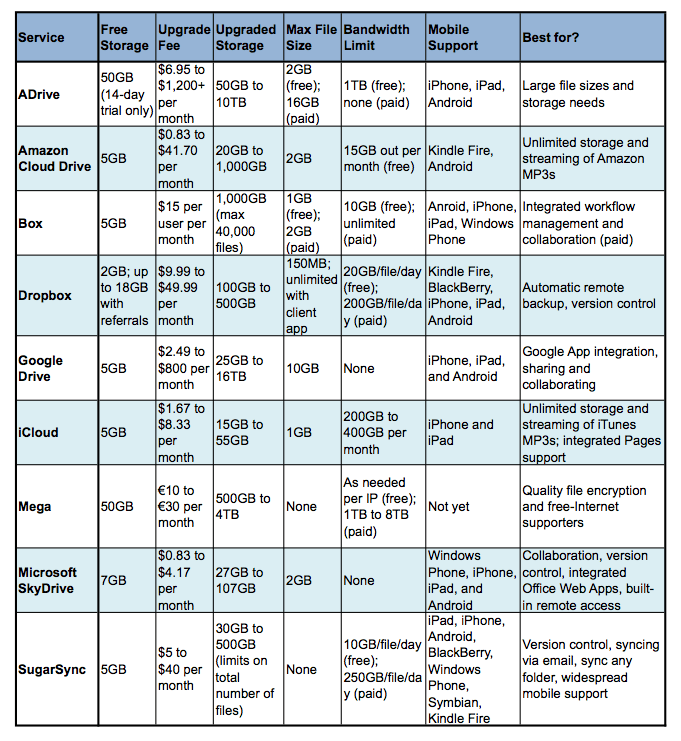 We have previously discussed some of the best cloud storage services in detail, but for convenience, here’s a comparison chart of common hosting services on the market (listed alphabetically) and what they have to offer. Now that we’ve covered the basic essentials for understanding the cloud, how do you enjoy using cloud technology in your home or business life? Do you have a tried-and-true cloud storage service, or are you still fluctuating between several? Let us know in the comments.